At DECO Window Fashions we have a wide variety of treatments available for our customers, including the Hunter Douglas collection. We want to make the window treatment process as simple and easy for our customers as possible. That’s why we offer a free design consultation in order to help you determine what the best window treatments for your home would be. However, this article can also help you decide which option is the best for you. 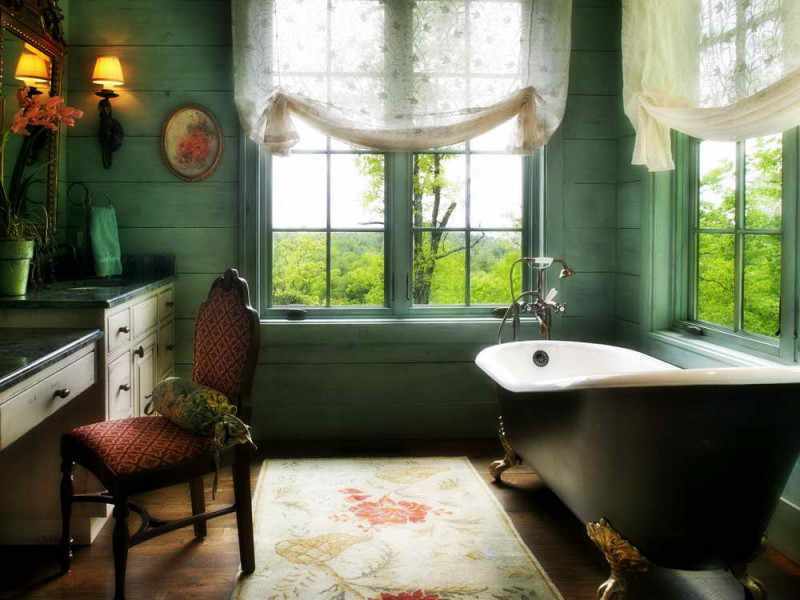 It should help you firm up the ideas you may have about your own windows. However, if you have any questions or concerns you can always call us at (512) 250-8600 or visit us at our store in Austin. We’re here to help! Drapes and curtains are often confused. Drapes, however, are heavier than curtains. They are never sheer or see-through and they typically are floor-length. Their original purpose was to block out sun during the hot summer months and seal in heat during the cold winter months. However, now the air conditioning and heating are more prevalent, drapes are typically used to dress up a room (although, depending on where you live, their original purposes can sometimes be of use). But when you come to us to purchase drapes, we will find the best drapes for your room and your needs. It doesn’t matter if you’d like a classic style, a contemporary one, or a drape that exudes elegance, we will have the drapery product for you. Shutters make it easier to control the amount of sunlight that enter a room, as well as making it easier to control how much people can see when looking into your home. 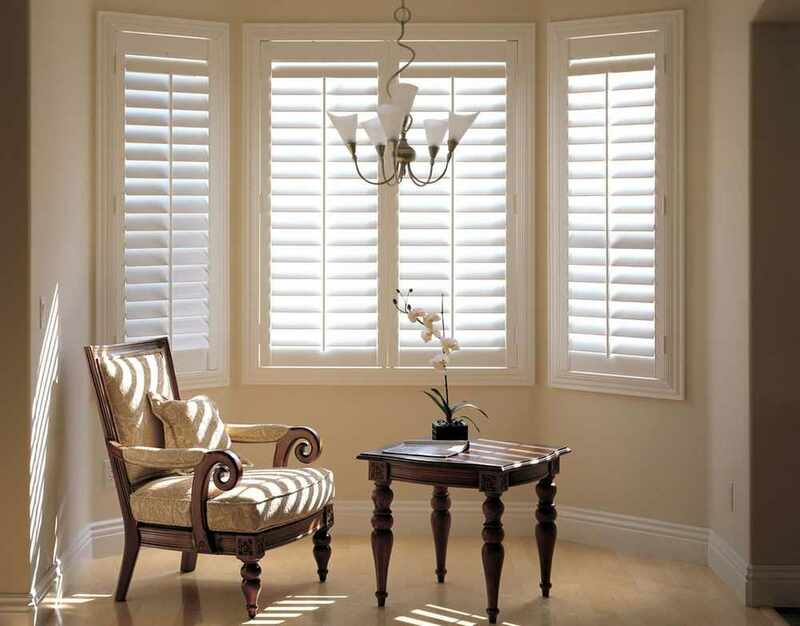 Shutters are cost-effective and better at absorbing dust. Not only that, but shutters can be varied as there are full-height shutters, lower-half “cafe” style shutters, tier on tier shutters (where the top and bottom shutters can be opened separately), and solid shutters. At DECO Window Fashions we have some of the best shutters available from Hunter Douglas Shutters to Norman Shutters, which are both high-quality brands that can suit any customer’s needs. Blinds are an easy to maintain window option that typically is less expensive than the other window treatment options. However despite its lower price, the quality is just as good. Blinds can provide a clean, simple appearance in a room and we have a variety of types including venetian and vertical blinds at DECO Window Fashions. Blinds are durable, efficient, and customizable. As a versatile window treatment, blinds can be used in any room. There are several types of blinds. These types include miniblinds, plantation blinds, vertical blinds, and pre-cut blinds. Miniblinds are thinner than typical blinds, while plantation blinds are typically thicker as they are made of thicker than normal wood or molded plastic. Vertical blinds are best used for light control and inside glass doors as they provide a lot of privacy. Shades are a lovely option that is available at DECO Window Fashions. We have many shades with natural colors and we use natural and renewable resources from bamboo, grass, weeds, and wood. Shades can be customized to fit your windows and there are many different styles of shades as shades are one of the most flexible window treatment options. We will help you discover what kind of shade is the best for you and your home. DECO Window Fashions is able to fit any of the above window treatment options onto your window(s) but we can add motorization. Motorization can be used with any of the above options. Motorization is perfect for any home or office and easy to use. As we are partnered with Hunter Douglas, you can be assured that our motorization will be of the highest quality, no matter what you pick. The system is easy to use and is able to be connected to your phone. We hope this quick synopsis of the options we have available at DECO Window Fashions helps you get a firmer idea of what you’d like to choose as your window treatment. We have more information on our products web pages if you have questions. 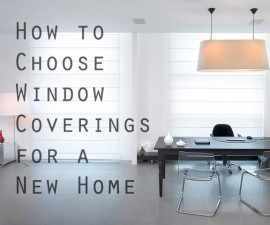 However, if you’re still unsure of what is the best option for you or are planning to window treat several rooms in your home, you may always arrange a consultation with us at DECO Window Fashions. Just call us at (512) 250-8600 to arrange it! We’re eager to help you create your dream windows. And remember, DECO Window Fashions is your local authorized Hunter Douglas dealer for Austin, TX and the surrounding area. So if you want the best, we have it.